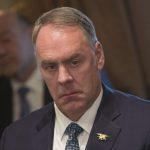 The Mashantucket Pequot and Mohegan tribes of Connecticut have accused the Secretary of the Interior Ryan Zinke of filibustering over the approval of its satellite casino plans at the behest of casino giant MGM. The tribe is suing the DOI over what it claims is illegal inaction. Connecticut has authorized the two tribes, collectively known as MMCT, to build the casino off tribal land, just miles from the border with Massachusetts where MGM is building its MGM Springfield casino resort. 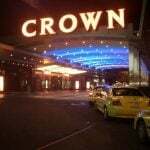 The tribes have made no attempt to disguise the fact that this is a strategic move designed to deflect competition from the MGM property to protect their two casinos in the south of the state, Foxwoods and Mohegan Sun . MGM launched legal action against Connecticut, claiming the law authorizing the casino was unconstitutional and protectionist, but the case was dismissed. But MMCT still needs the project to be signed off by the Department of the Interior because it requires an amendment of the tribes’ compact with Connecticut, promising the state a share of slot revenues. 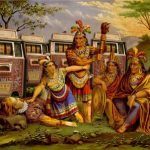 Under federal law, the DOI is required to issue a verdict on such matters within 45 days and can only refuse to approve a proposal if it violates the Indian Gaming Regulatory Act (IGRA). 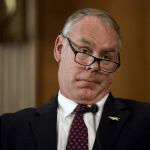 But the DOI has sat on the issue for months and offered nothing beyond a technical guidance letter in May in which Associate Deputy Interior Secretary James Carson appeared to side with the tribes. Carson said the compact amendment reflected the “unique circumstances” involved, which meant that an off-reservation casino would not affect the tribes’ exclusivity agreement with the state. While the channels of communication appear closed to MMCT, Politico has discovered that Zinke and other senior DOI officials have “held numerous meetings and phone calls with MGM lobbyists and the company’s Republican supporters in Congress,” according to a review of Zinke’s schedule. “It’s 100 percent about delaying us for as long as they possibly can,” Andrew Doba, a spokesman for MMCT told Politico. Meanwhile, Connecticut’s politicians have fared little better with the DOI. 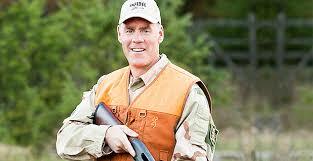 But MGM and its cronies have had no trouble in bending Zinke’s ear. According to Politico, Senator Dean Heller and Representative Mark Amodei, both Nevada Republicans, met Zinke often last year. Heller and Amodei attempted to tag an amendment onto a federal defense bill at the last minute that would have prohibited Native American tribes from operating casinos in their home state outside their reservations, scuttling MMCT’s plans. The amendment was nixed by vigilant lawmakers, including Blumenthal and another Connecticut Senator, Chris Murphy (D). Meanwhile, MGM has recently doubled its spending in Washington and recruited a team of lobbyists that includes former Interior Secretary Gale Norton and Trump fundraiser Brian Ballard. Is the DOI putting MGM’s interests above the State of Connecticut’s? MMCT’s lawsuit demands a decision on the compact, arguing that there are no legal grounds for further delay.